What ails the great Indian asset sale? 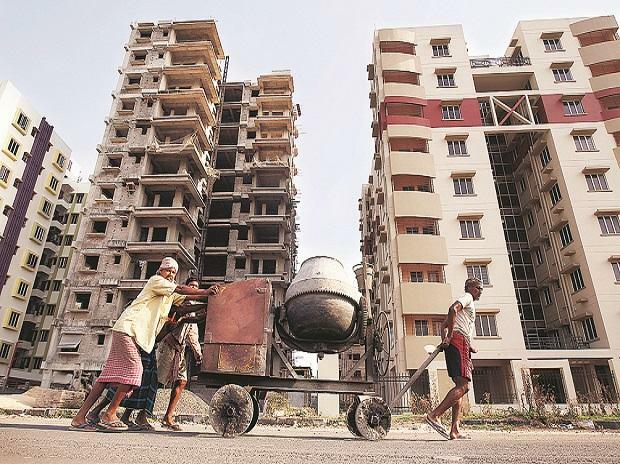 Real estate, construction and power are likely to be a major headache for banks, as a staggering Rs 1.5 trillion of stressed assets may turn sour in the next 18 months. They form part of the total Rs 3.5 trillion stressed but not recognised assets, according to India Ratings & Research. However, the banks will be in better position to make provision for these loans as they are mainly medium sized, up to Rs 2,000 crore per account. The requirement of the accelerated provisioning norms wouldn’t apply to these assets. The rating agency said it expects a 20 per cent provision (about Rs 40,000 crore) to be made by the banks against stressed assets which may non-performing assets, or bad loans, by September 2020. Analysts said lenders may see reversal of provision already made for many big-ticket bankruptcy cases that are likely to be resolved the next few quarters. The released amounts could come in handy for making provision for fresh slippages. India Ratings said from the banks perspective, headline gross NPAs will not see any material increment in FY 20 and the total stressed corporate exposure of banks have also declined to 19.3 per cent from about 20-21 per cent over FY 16-18. In the absence of Ind-AS some of the public sector lenders, whose profitability has gone for a toss as they are reeling under the pressure of bad assets, may report profits in FY 20 as the credit cost of these public sector lenders could be lower than their pre-provisioning profits, rating agency said. The rating agency in its outlook for FY20 on the Indian banking sector has maintained a stable outlook on the large private sector lenders. However, only two public sector lenders -– State Bank of India and Bank of Baroda -– have got a stable outlook, while others have got a negative outlook for the fourth quarter of FY19 and FY20.